Playing around this week a little. This isn't done yet, just a quick mock up to see what it might look like. Still needs to be surface ground to smooth the flats. It's about 4 inches long, CPM 3V, with a 15mm wrench for standard bicycle axle nut and room for one bit. I'm thinking 5mm for the insert bit but I may try another slightly different design and see if I can fit two bits in there. The question has been asked many times…I have posted my thoughts on this in the past but will do it again for the benefit of newer folks who may have missed it or those who still do not get it. Why is it that I am not keeping lists like all the other makers do? There are lots of guys making 5 or 6 different models of knives, maybe they have 2 folders and 3 fixed blades. The price points are much higher than mine (say $150-600) so right away their list is smaller. This is because generally speaking, the higher the price the smaller the pool of buyers who are lined up waiting. If you had 35 people waiting and most wanted one thing and only a few wanted 2 or 3 items then the list is workable even if it takes months or a year to get to all of them. Now make that 100 people on the list, a list that is growing daily, and each wants between 1 and 12 different items. Some ask simply for one of everything as if that would make it easier. Let’s not forget my small pool of dealers too and the numerous emails I get from folks who wish to be dealers…at this point, had I continued keeping lists, I would easily be up to several hundred people and the wait time would in years. Skeeter, Sumo, Wedgie3, Wedgie 4, Wedgie5, basic Keyton, Area 51 Keyton, Ti prybaby, Ti keyton, Gasbaby, Hexbaby, Micro BOBar, full sized BOBar, Ti BoBar regular, Ti bobar gas wrench version, Mini ti BOBar, Ti whistle, Brass whistle with rifle knurl, Brass whistle with diamond knurl, Brass whistle with straight knurl, Stainless whistle wide straight knurl, Stainless whistle fine straight knurl, Stainless whistle rifle knurl, Stainless whistle diamond knurl, Damascus whistle blue tongue pattern, Damascus whistle twist pattern, Damascus mini prybabies, Damascus mini keytons, Damascus boogers, Damascus msopthings, Steel msopthings, Full sized SOPThings, Micro BOBlades, full sized BOBlades, Keykutter, Mini cc knives, Damascus mini cc knives, Drop point boogers, Original boogers, Wharncliffe boogers, Tanto boogers, Flat keytons, Flat spannerbabies, Regular spannerbabies, Titanium spannerbabies, Pop n Chops, Bottlebugs, Crawdaddies, Bug bites, G2 prybabies, Prybaby XLs, Mini Prybaby XLs, Titanium Prybaby XLs, Titanium bottlebugs, Ghouls, Goblins, Constellation prybabies, Constellation keytons, long keytons, Talonite skeeters, Talonite mini son of prythings, Perforated prybabies, Scouts, Glowhistles, Area 51 bug out bars, Tac straps, etc, etc, etc. And on the titanium items they want special finishes and grinds. The cord wrap colors are blah blah and blah and can you include an extra piece of cord? And they really want a lefty not a righty. Can they have tiger stripes? Can they get bubble pattern on one with black cord and satin on the other with orange reflective cord? How about a slightly smaller one? How about a bigger one? Can they get it in damascus? Will I use their damascus bar they got from Ebay? Can you drill some extra holes in that? Can you make me one with no holes at all? Can you leave off the V notch on mine? If they order it without a teklok can I give them a discount? How about a sheath to go with that non-knife tool? Can you engrave my initials or my company name? Can you let me know when you will have more of them? Can they have it all shipped at once because they’d like to save on postage. And can they have it by the end of the month because they are going on vacation/getting married/giving it as a gift/deploying overseas and they need it before then. And how come such and such got theirs first when they have been waiting for months? I’m telling you, it would make anyone FREAKING CRAZY trying to keep up with it all. I don’t think even the CIA could come up with a more effective means to break a human being. I was going nuts and getting so stressed out I couldn’t see straight so I said NO MORE! The heck with the damned list! I’ll make what I feel like making and post them when they’re done. Period. You would not BELIEVE how relieved I was after making that decision. Since then my production has increased exponentially because concentrating on larger batches of one thing at a time is so much more efficient. Working off the list was draining my energy, keeping me permanently confused and I wasn’t getting half as much stuff made. So there you have it. I could go on and on but it would just be redundant and bore everyone to tears. Bottom line, I am deeply grateful to the folks who have stuck with me through this and apologize to the ones who don’t like my system, but for the sake of my sanity that’s how it has to be. I'm a small batch maker of tools and knives. Although I make a fair amount of stuff there are always people who are unable to get my creations because they are often all gone by the time they see them available. Lately I have been hearing from more and more of these folks and how unhappy they are that they can never seem to get in on the latest release of goodies. What has been much commented on lately has been the pattern of new items showing up on Ebay at hugely inflated prices. These are mostly brand new items, never been used. So obviously a few people have been buying good sized quantities of stuff for the sole purpose of reselling them for profit. 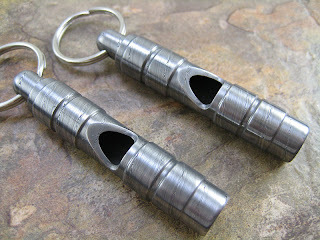 I think it is interesting that many of the items actually sell at these prices and I am grateful that my work is held in such high esteem that somebody would actually be willing to pay $65 for a whistle for example. But I have to say I am not entirely comfortable with the situation. 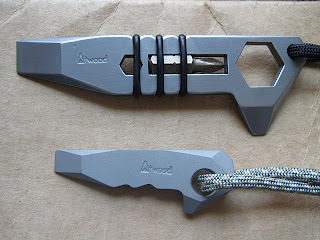 I think it is really unfair for the folks who just want to add a new piece to their collection or even just buy ONE piece, sometimes their very first Atwood tool. Not everyone can check my site for updates and releases constantly during the day and I realize that. I have made comments in the past about robots being run to check my site. A few of them are still being run despite my polite request for the perpetrators to stop running them or at least curtail their use so as not to inflate my bandwidth. A few of these resellers may in fact be running bots in order to swoop in and grab some goodies the moment they are released. So here's the thing....in order to level the playing field a bit...if I think you are buying items in quantity for the sole purpose of reselling for profit I reserve the right to deny you the purchase of multiple items. I'm not saying I won't sell you one of the new Widget X, I just won't sell you 4 of them. I'm also not saying that people can't buy something and then decide they don't want it, then put it up on Ebay. That's fine too. But when I see a pattern develop of multiple item purchases and then up they go on Ebay for scalper's prices then it's not OK. I apologize in advance to anyone who that may piss of but the fact of the matter is I'd rather piss off a few people than continually frustrate hundreds. Fair is fair. But it has finally arrived. 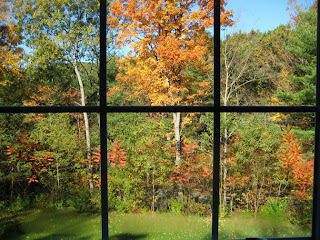 Although I dread what is coming next, this view out my study window is worth a thousand words. I know there hasn't been much on my site lately but I do actually have a few small items tonight. Not a lot though...will try to get some diamond knurl whistles finished over the weekend and I did make further progress on some knives today so they will be here soon. I knew it was only a matter of time before someone started ripping off my designs. I'm not talking about folks making items that are similar, I'm talking out and out counterfeits. And not so surprisingly it turns out to be Chinese in origin. This titanium "Prybaby" showed up recently on a popular Chinese version of Ebay. Price $12. It is the first I have seen of what is obviously a blatant rip off. It really begs the question, why? Why is it that the Chinese can't come up with their own designs? Why is it that they make these copies instead of innovating? Why do they not have a sense of pride in their own creations and feel that they can just copy whatever they want? Why do they not respect what others have created? Why are they focussed only on making money at any cost including human and environmental costs? Why do we as a nation put up with it just so we can have our cheap dollar store goods and our Wal-Marts? I'm not the only one who has had this happen of course. It is something that all companies must deal with and I have seen others going through all kinds of crap while trying to combat the fakes. I suppose it is a sign that I have "arrived" in some way and perhaps I should revel in this achievement. But somehow it still feels like a slap in the face. BTW, In the above remarks I made broad reference to "the Chinese" as if all the Chinese people are guilty of this. Obviously they are not, it is certain people within their country and their government probably does not always cooperate in enforcement. 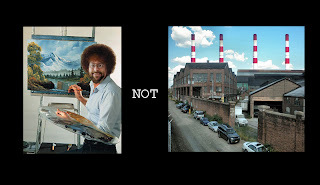 I apologize for painting the situation with such a broad brush. I've been putting my nose to the grindstone lately and getting a lot of stuff done. Just got through with the big load of Crawdaddies and they are already gone! Currently I have a small wave of Bottlebugs and then after that I am still undecided on what to finish. I suppose I will have to buckle down and finish up more knives which I have been putting off as long as possible...I also have a few more Ti Bug Out Bars to get through and some misc goodies such as whistles of all sorts. I appreciate all the kind words everyone! I have been feeling unwell for a few weeks, experiencing symptoms of abdominal pain on the right side. I thought it was referred pain from stomach inflammation or ulcer and the docs thought it was gallstones. After various tests and an ultrasound and then days and days of waiting (I had to call them 7 times on Friday to get a damn answer!) I finally heard back that there were no ulcer causing stomach bacteria and no gallstones found and they didn't have a clue. I began experimenting on my own because it seems like our health system is so screwed up that we literally have to be our own doctors these days. I had read that wheat gluten can cause inflammation in the stomach and sure enough, after cutting out all wheat products for just one day I felt better. After three days I felt totally normal. I'll continue to eat this way for a week or two and let it all calm down and heal itself. I do NOT have Celiac disease BTW, just an irritation of the stomach lining. So, I'm on the mend and getting stuff done in the shop this week. This morning I will be getting a big load of Crawdaddies, Bottlebugs, G2 Mini Prybabies (all righties) and A51 Mini Keytons into heat treat and hopefully have them done for Friday or Saturday. I have a zillion things to finish up here and will try to get to some of it while I'm waiting for the heat treat to be over.